Checkey is a utility for getting information about the APKs that are installed on your device. 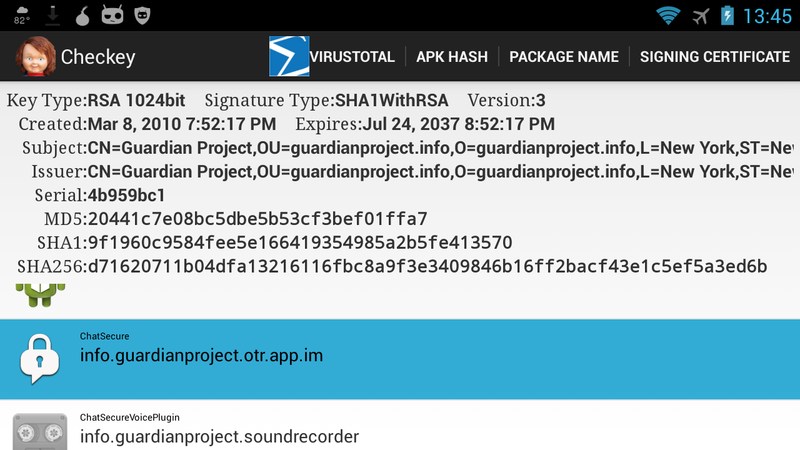 Starting with a list of all of the apps that you have installed on your device, it will show you the APK signature with a single touch, and provides links to virustotal.com and androidobservatory.org to easily access the profiles of that APK. It will also let you export the signing certificate and generate ApkSignaturePin pin files for use with the TrustedIntents library.